Invitations should have been sent out by now. If you haven’t received one, send me an e-mail. 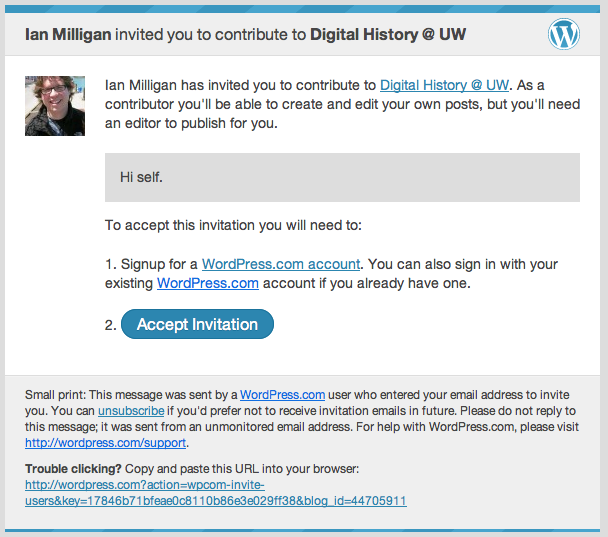 In the invitation below, you’ll have the option to create a new wordpress account or link it to your existing one.